Serving up hearty and delicious meals, featuring a wide variety of American Cuisine favorites for breakfast, lunch and dinner. Open 6:00 a.m. to 9:00 p.m., 7 days a week. Breakfast served all day! Offering wine and beer to compliment your meal. Come join us today for all your traditional favorites, and maybe something new! Want fresh American style food, and a few authentic Mexican entrees added in for a fun variety? That’s us! At Noe Jose Café (yes, our name really is pronounced No Way Jose, really!) we serve up hearty and filling traditional family favorites of American food, and we’ve included some of our own Mama Silvia’s family Mexican recipes to spice up the menu. Many restaurants claim they have “authentic” Mexican food. We know we do because our recipes come from our own Mama Silvia’s family. Our tortillas are so authentic she’s frequently in the kitchen making them herself! Looking for modest prices and simply good food? Come see us. We’re family owned and operated, and you’ll always get friendly service with a smile. Alfy’s Pizza made the cut to be included in our Top 10 restaurants on Whidbey Island because they offer a great value. If you’re looking for an affordable, yet high quality dining experience, Alfy’s is the place to go. I’ve probably visited a hundred pizza joints in my lifetime. I haven’t seen another pizza place that offers what this place has. Alfy’s is a great combination of food and amenities. Voted best pizza and salad bar, there is seating on two levels, each with a wonderful, expansive view of the water. Newly, and completely remodeled throughout, there’s an “all you can eat” salad bar and half price pizza (lunch time only), wine and beer (on tap too!) to compliment your food, an arcade game room, and an assortment of sandwiches and pastas. Owners Brett and Tina Olson are hands-on proprietors. They work hard and pay attention to make sure every dining experience at their restaurant is a good one. The service is friendly, the prices are fair. 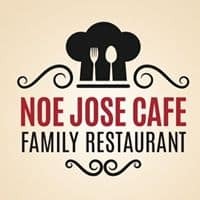 It’s a really nice experience overall, and a great place for a quick bite, or to bring the family or group of friends for a casual outing.